The vast majority of my students tremble at the mere mention of writing. I have been working hard this year to get them to like writing...well at least not HATE it. 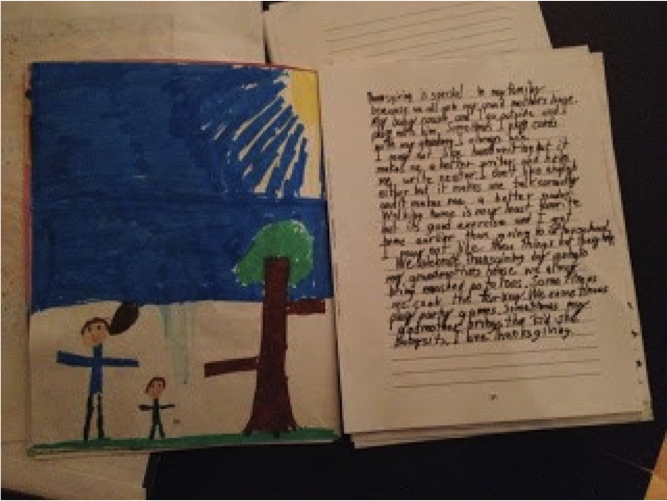 I always love using children's literature in the writing process. I began one of my favorite writing pieces by reading aloud the book below. This book is so funny and the children love it. I read the book aloud and then we discuss the patterns present in the book and how the prefix un changes the meaning of a word. If you haven't read the book you should definitely check it out! It's about a boy who is trying to get to a birthday party. He goes through a series of fortunate and unfortunate events on his journey. We decided we were going to write a class book and integrate technology. Below is a Prezi I created for professional development that goes through the process of writing this book. 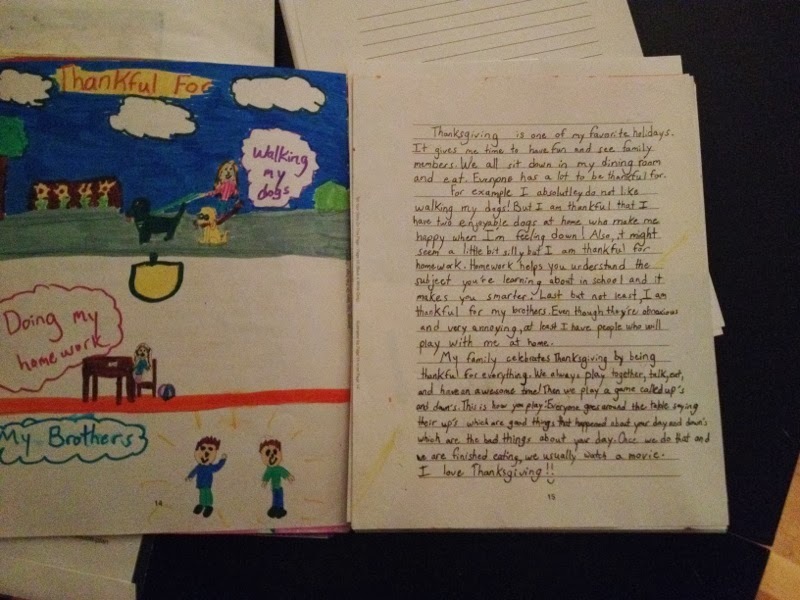 The kids loved writing this book. They would always ask if we could work on it. 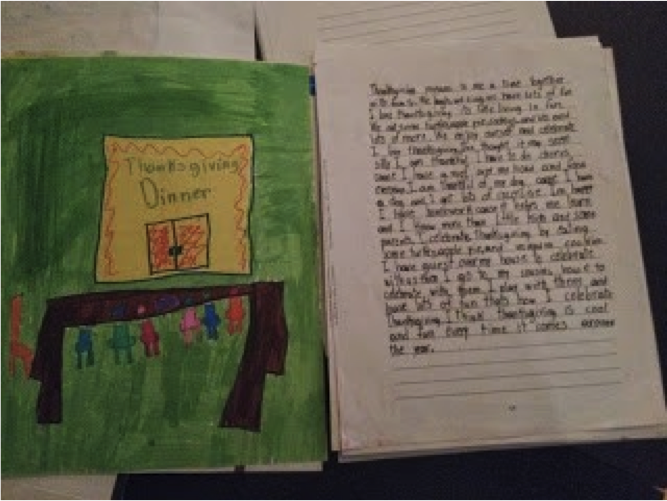 After we finished out class book I had the students write their own individual books. We are in the process of reading them aloud now. The next step in my quest of getting children to love writing began when I received a flyer from my principal. The flyer was from Student Treasures. I had heard of this company at teaching conferences, but I honestly hadn't put too much thought into it. 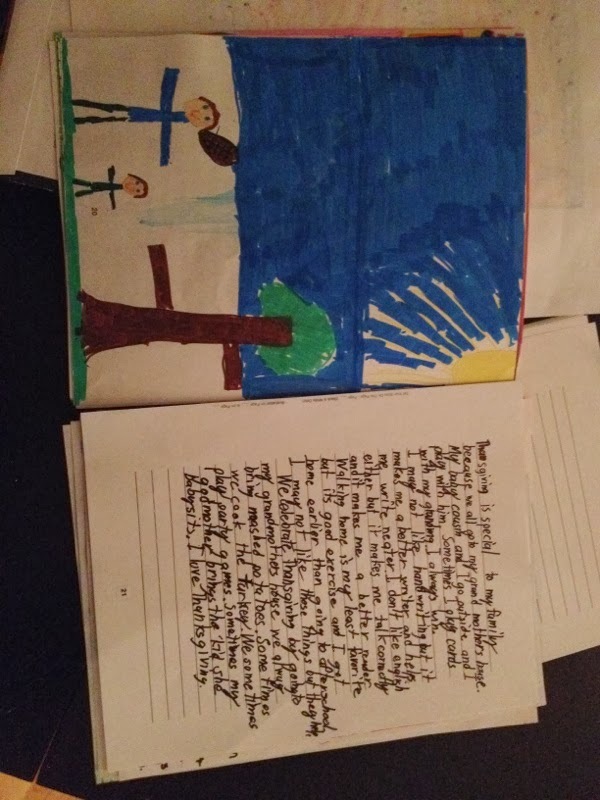 You have the students write a book to be published and the parents have the option to buy. 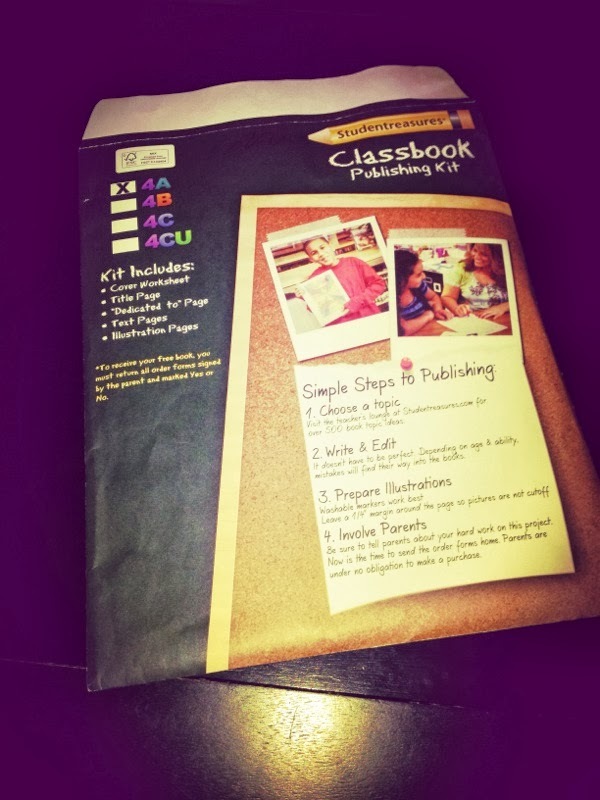 The teacher will get a free published book copy for the class upon completion. When I got the flyer I figured why not try it...I mean what have I got to lose? I sent out for a publishing kit. Now it was time to start brainstorming what the students would write about. 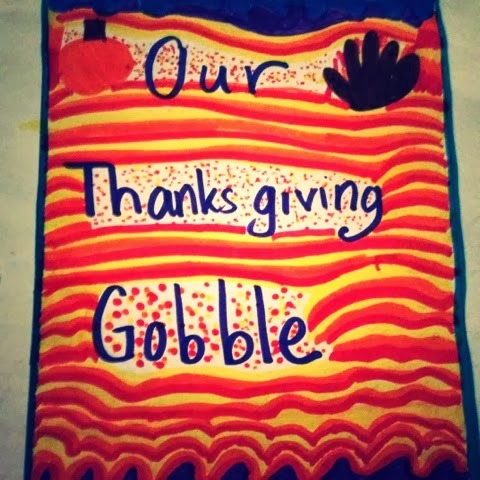 The topic for the book was Thanksgiving. When the kit arrived I was overwhelmed by the amount of "stuff" that came along with it. I sat down and went through all of it to get an idea of what I had to do. 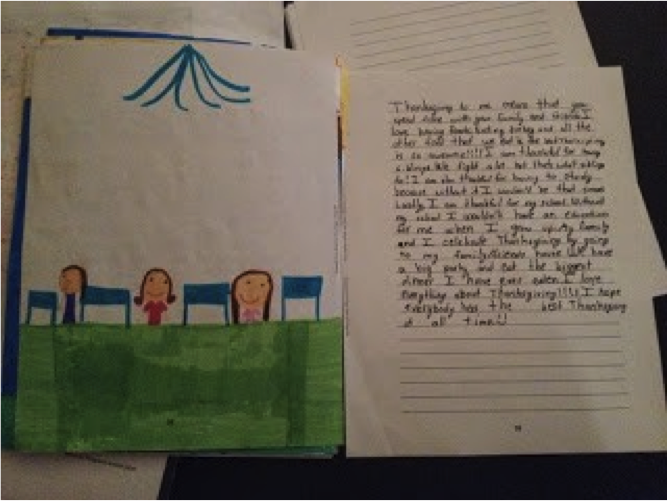 I decided that I would have the students do a critical thinking Thanksgiving writing piece. We went through the writing process. We wrote and revised a lot! Once we liked how the pieces looked we began to copy them on to the paper provided by Student Treasures and then illustrated pictures to go along with the writing pieces. The final step was putting it all together. 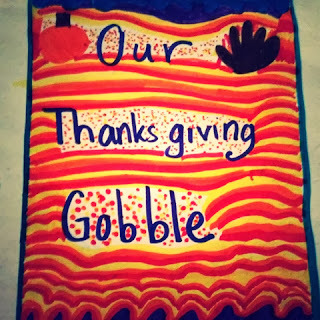 I had to order the pages and have the students create a cover. I then put it all in a large envelope, put the shipping label on, and dropped it at the office to have it sent to be published. I can't wait to see what the final pieces look like!